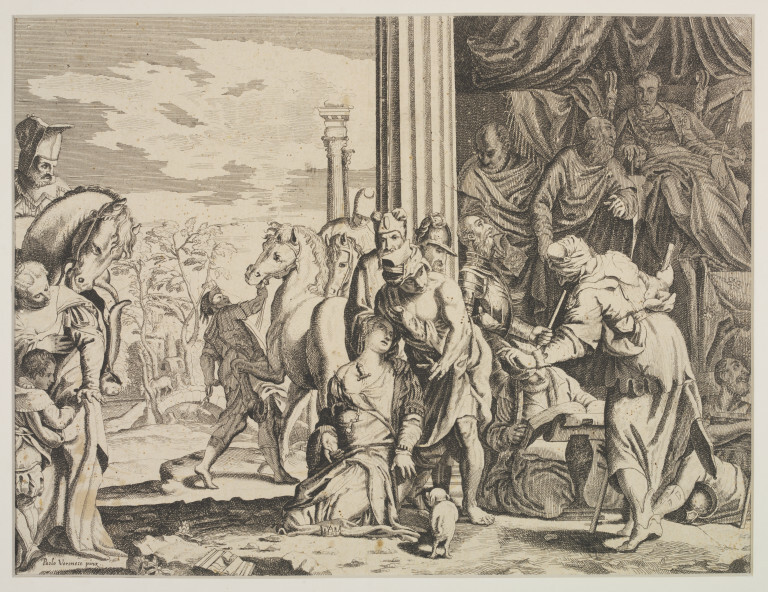 The Martyrdom of St. Justina, who kneels in the foreground with a crown before her, and a little pug dog near. 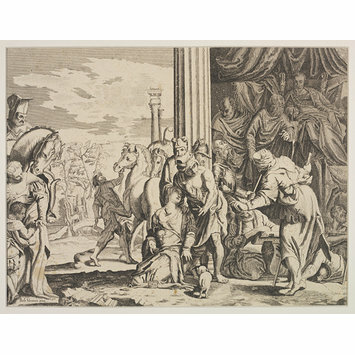 The Emperor Diocletian enthroned on the right; After Paolo Veronese; Print on paper; Inscribed 'Paolo Veronese pinx.' on the left at bottom. Inscribed on the left at bottom. The Martyrdom of St. Justina. After Paolo Veronese; Print on paper; Unknown; Italy; 17th century. Inscribed 'Paolo Veronese pinx.' on the left at bottom.